Saturday is the 63rd annual Armed Forces Day. Celebrations to honor our military take place all over the country including a number of motorcycle rides and rallies. 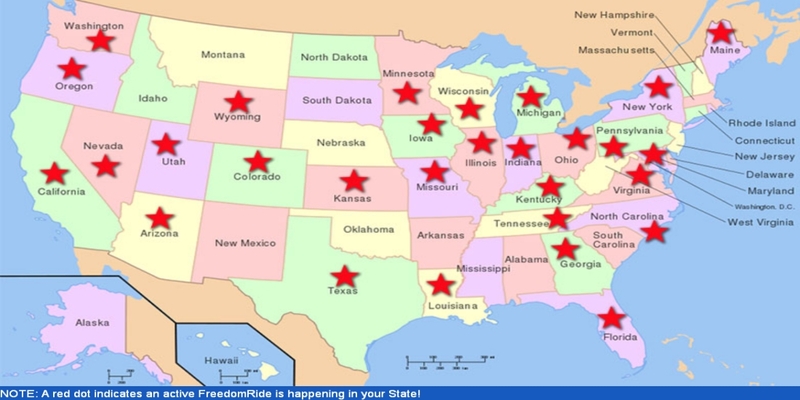 Most notably, the National Armed Forces Freedom Ride takes place in 29 different states. There are many other rides this weekend too, so we can't think of a better reason to saddle up and get riding. Don't forget to put your flag up. For a list of other rides happening this weekend CLICK HERE! Prepare your motorcycle for the road ahead and shop MotoSport.com for everything from OEM parts to motorcycle foot pegs!